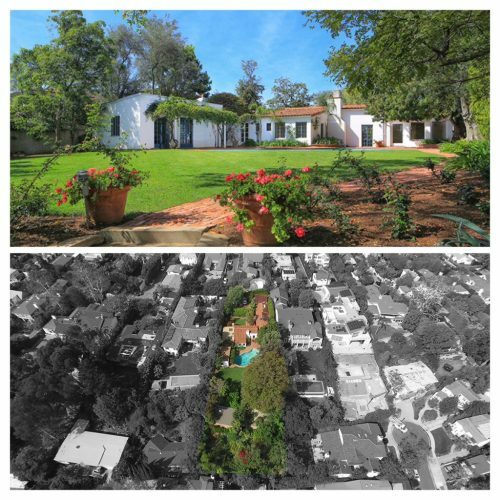 “The bottle blond bombshell personally searched for and purchased the 1929 Spanish hacienda style home in the coveted and star-studded Helenas district in early 1962. Some reports say she paid $67,000 and others $90,000. 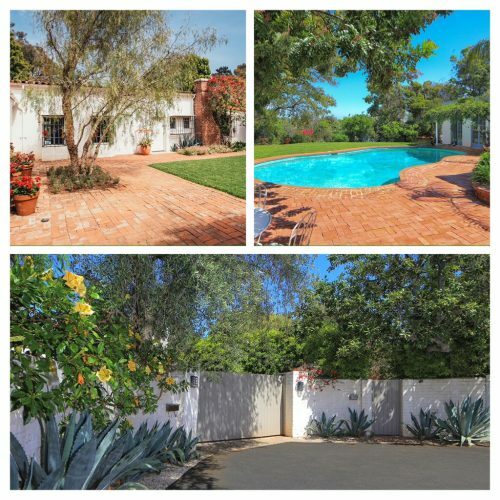 Privately and securely situated at the end of an itty-bitty cul-de-sac behind a high wall, secured gate and canopy of trees on what marketing materials declare as the ‘largest parcel of all the Helena streets,’ the red tile roofed, single-story residence measures in at an extraordinarily modest by today’s celebrity standards 2,624 square feet. 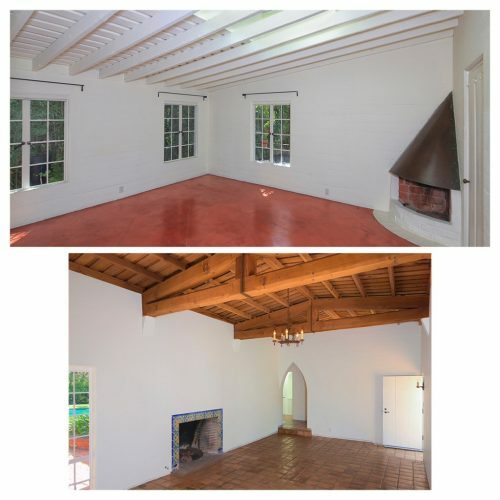 Renovated, updated and expanded over the years by the various owners, the residence retains a number of original architectural details such as thick white stucco walls, casement windows, some fitted with wrought iron grills, terra-cotta tile floors, Gothic arch doorways, and vaulted, exposed wood ceilings.